NORTH ATTLEBORO, Mass. – North Attleboro went into halftime of its first ever home playoff game holding an 8-5 lead. The Rocketeers had been up 5-1 but Hopkinton had started to get momentum near the end of the half and then used a 4-1 run at the start of the second to tie the game at 9-9. The first tie since three minutes into the game. First-year coach Mike Vitelli called timeout to settle down his team. 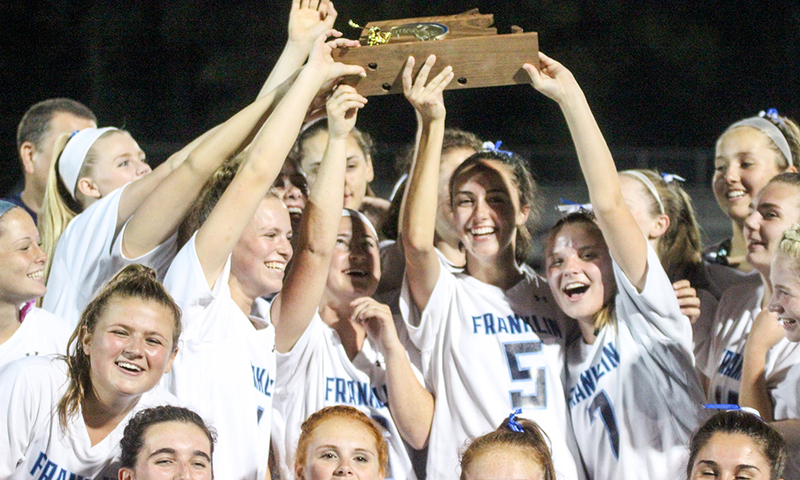 While the playoff experience is relatively new for the North program, Vitelli has seen success in the tournament before, winning a South title with King Philip in 2006. 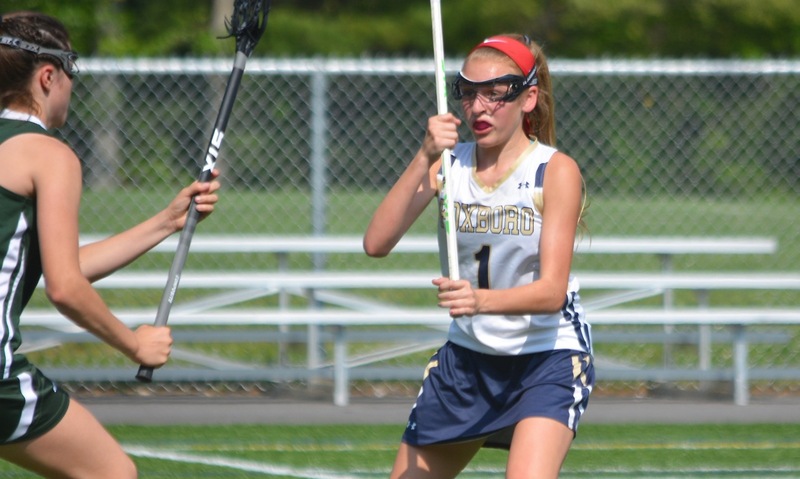 The coach turned to his leading scorer Hana Caster and the UMass-Lowell commit responded with a pair of goals, her third and fourth of the game to go along with two assists, to regain the lead for North. The Rocketeers would not relinquish the lead, holding off the Hillers 14-12 in Tuesday afternoon’s Div. 2 East first round match-up and earning the program’s first ever state tournament victory. He admitted that the team came into the game with a little added motivation after one publication picked the Hillers to earn an upset (as the ninth seed against the eighth). Drawing from New England Patriots coach Bill Belichick, Vitelli made sure that it turned into bulletin board material for his players. The Rocketeers jumped out to a 5-1 lead, despite struggling with draw controls in the early going. Senior goalie Brooke Ebert helped keep the shorthanded Hillers, who were missing a couple of players with injuries, making seven of her nine saves in the first half alone. North took advantage of the possessions those saves created with Caster opening the scoring followed by goals from Chloe Olsen, Emily Schromm, Erin Holley, and Mackenzie Rosenberg. After Hopkinton scored to make it 5-2, Caster answered back with a bouncing shot that extended the lead to four. The Hillers would not go quietly. Three straight goals cut the lead down to one in the final minutes of the half. North answered with a couple of draw controls and goals by Holley and Rosenberg to lead by three at the break. 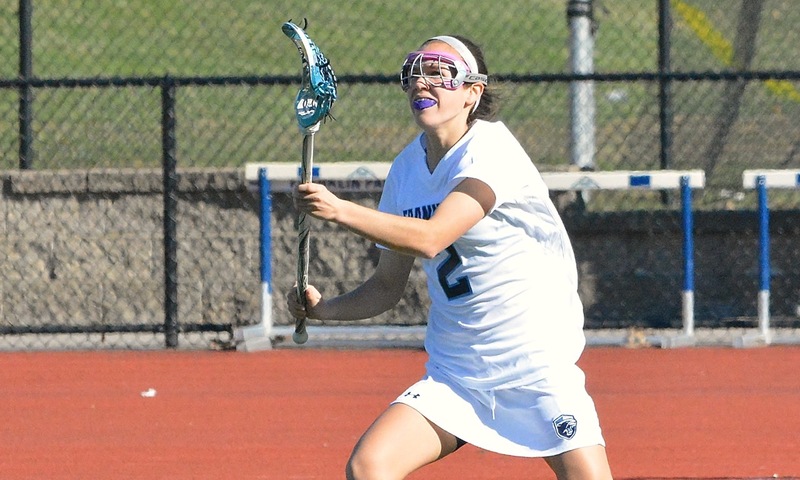 Caster assisted on Liz Cooper’s first goal to break a two-goal streak by the Hillers at the start of the second half, but Hopkinton continued to press and back-to-back goals by freshman Lydia Rudden tied the game at 9-9 and forced Vitelli into a timeout. Olsen started to win some draw controls and give North chances to attack. Caster made those chances count. She turned a quick transition off a Rosenberg feed into a goal with a dodge and a bouncing shot and then just seconds later smacked the post off a pass from Julia Dakin. A minute later, Caster scored from eight meters and the Rocketeers had a two-goal lead. Olsen tallied off a cut through the middle but Hopkinton answered in transition. Cooper scored with a turn and shot under the bar, but again the Hillers scored to stay close. Holley added another on a feed from Rosenberg but Rudden came right back with a quick response. Leading 14-12 with a minute remaining and play about to restart with Ebert in possession, Vitelli called his last timeout. He needed someone to get the ball cleared and he turned to Schromm, who had been one of North’s defensive leaders all game along with Alaina Mello and fellow junior Samantha Taggart. 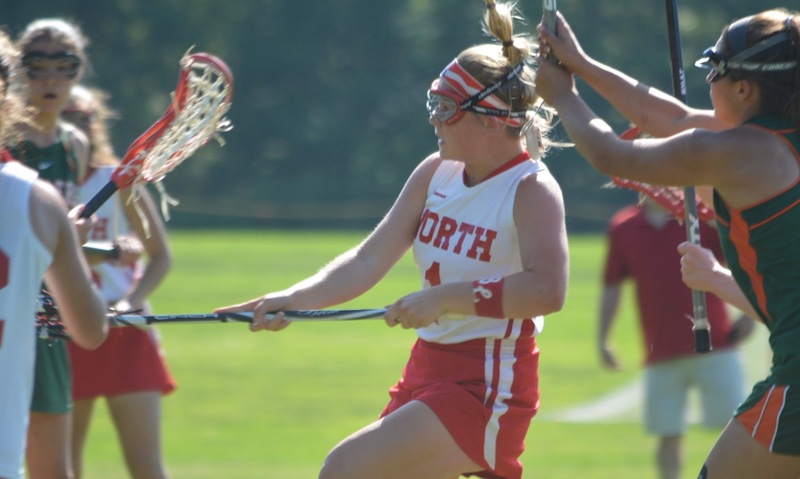 In the closing seconds, Schromm scooped yet another ground ball at midfield and ran out the clock to send North Attleboro into the second round for the first time in program history. Vitelli did not hide his joy at the historic moment and led the North bench onto the field at the final horn. North Attleboro (13-6) will advance to face top seed Walpole at Turco Field on Thursday at 4 p.m.